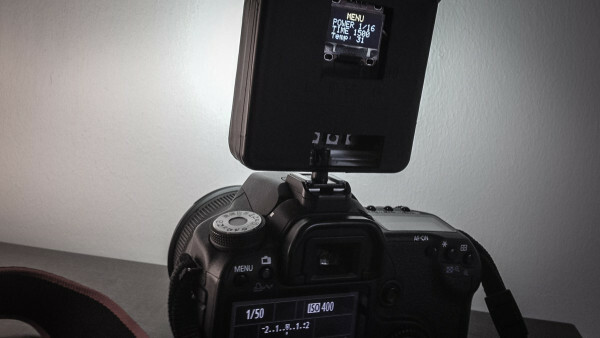 A crowdfunding campaign has been launched for Valo, an LED flash and video light that is wireless, modular and programmable. The Valo is designed to have all the best features from both LEDs and speedlights, such as smartphone remote control, wireless radio triggering, hotshoe sync and adjustable colour temperature. According to Jari Laaksolahti, its Finnish creator (“Valo” means “light” in Finnish) the Valo differs from other photography lights on the market because it uses LEDs with a high colour rendering index (CRI) and because it does not require cables or adapters to link multiple panels together. The brightness, 4,000 lux at one metre, is less than from a typical speedlight, but as an LED light the Valo has no recycle time and can be its own modelling lamp. The Indiegogo project hopes to raise US$55,000 throughout June, and if successful the products will ship in December 2015. A single Valo starts at $139 but you can pledge to buy sets of up to eight at a time. Accessories are planned for the future. Click here for more information.